Gov. 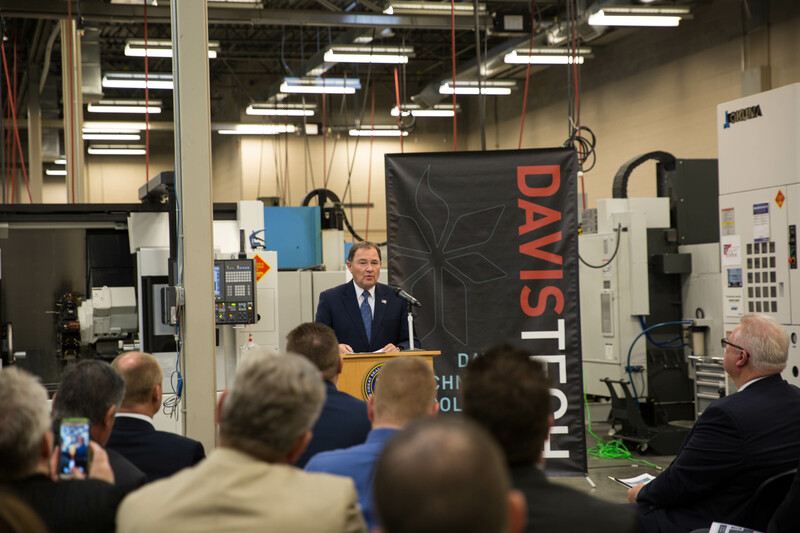 Gary R. Herbert revealed his budget proposal for Fiscal Year 2019 today at Davis Technical College. While the budget may not sound like the most exciting component of government work, drafting a budget proposal for our legislature is one of the governor’s most important constitutional duties, and an important aspect of shaping Utah’s future. A brilliant team at the Governor’s Office of Management and Budget has worked on the budget proposal presented today for the last year. We know our state is growing. In fact, Utah is the fastest-growing state in the nation. To that end, this budget proposal is built around growth strategy. It is designed with Utah’s children and their future in mind. That is why the largest investment in this proposal is in education. This budget proposes to directly invest 72 percent of all new ongoing revenue in public and post-secondary education. This translates to an annual investment of $207.5 million in ongoing funding for public education and $68.6 million in ongoing funding for post-secondary education. Moreover, this budget proposal calls for a 4 percent increase in the Weighted Pupil Unit for the second year in a row. 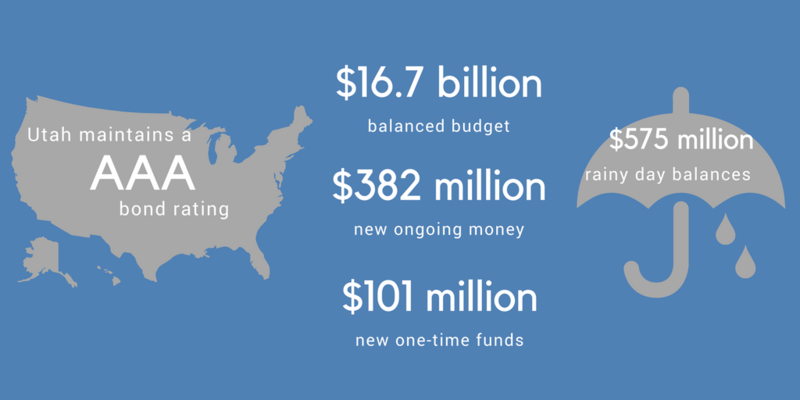 This equates to just over $121 million that can be invested in raising teacher salaries, reducing class sizes, bringing more technology into the classroom and more. Local school leaders will determine the most ideal use of this funding for their specific needs. Education is very important for the prosperity of our state – this budget reflects that. Environmental conditions are also important to Utah’s quality of life. As the fastest growing state in the nation, we need to mitigate the challenges associated with rapid growth. We need to care for our air, water, and surrounding environment. Thankfully, Utah is on the correct path. Between 2002 and 2014, Utah’s population increased by 26 percent, more than 600,000 people. During that same time period, total statewide emissions declined by 30 percent, a 46 percent reduction in per capita emissions. 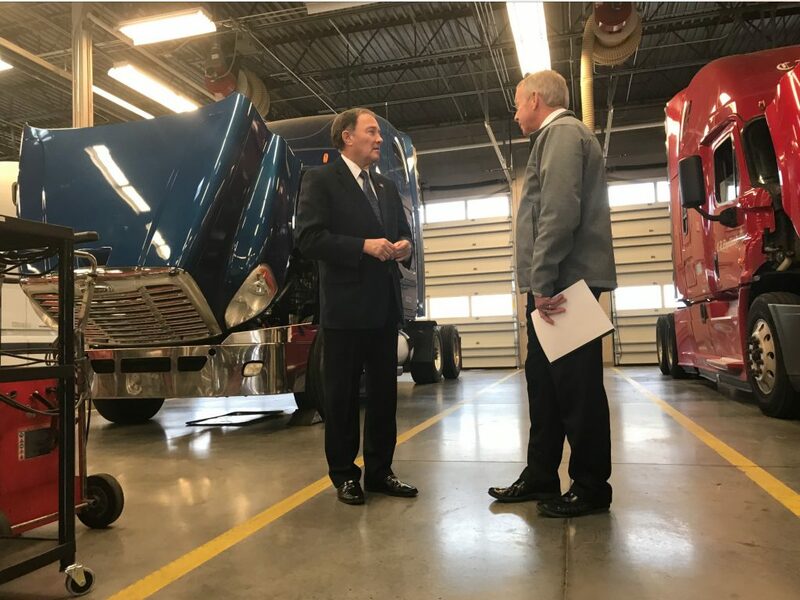 Encouragement and incentives are also leading Utah refineries to produce cleaner Tier 3 fuels, which will significantly reduce emissions in our state. Of course, this budget will address numerous other needs in Utah. Medicaid, CHIP, Operation Rio Grande, transportation needs, and so much more are covered in the full proposal. The result of this proposal is a $16.7 billion balanced budget that contains no tax increases and incurs no new debt.